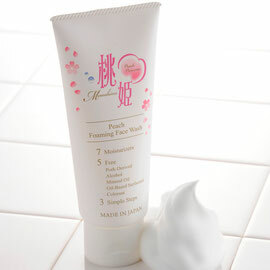 “Momo Hime (Peach Princess)” skincare line features moisture-rich peach extracts and soothing peach aroma. “Momo Hime” skincare line obtained Halal Certificate from the Japan Islamic Trust so that Muslim women can use them as a part of daily regimen. 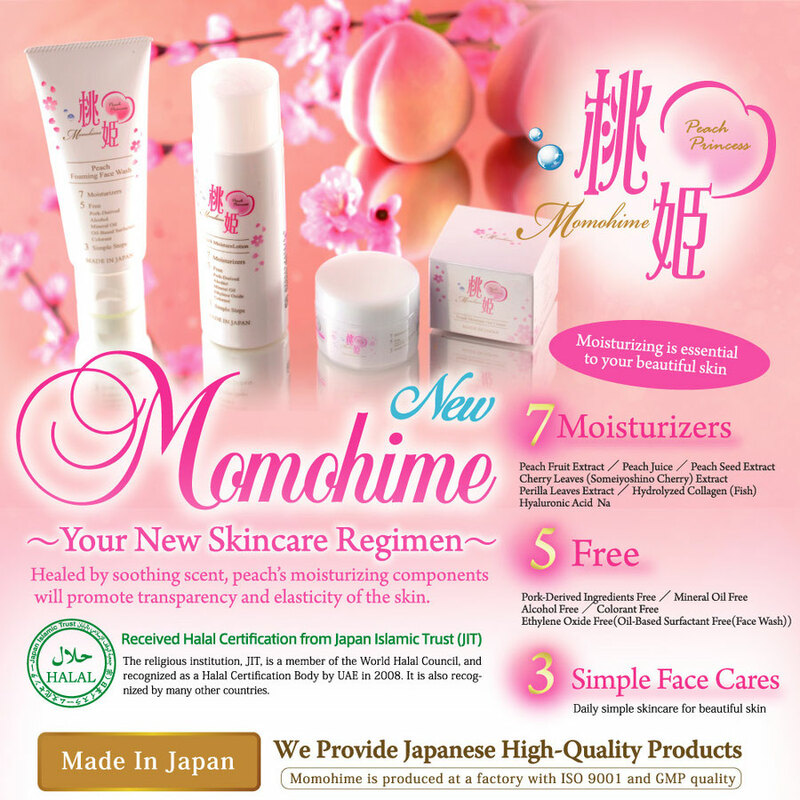 “Momo Hime” skincare line promotes healthy and natural beautiful skin. Formulated with selected natural seven moisturizers. Peach leaves, peach juice, and peach seed extracts replenish moisture to the skin. 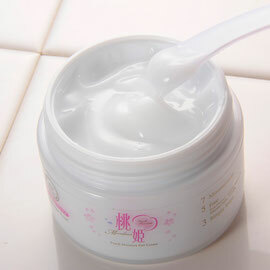 Hyaluronic acid Na, Hydrolyzed marine collagen, Cherry leaves extract, and Perilla leaves extracts containing moisturizing agents promote clear and beautiful skin. Peach leaves Extract replenishes moisture and fixes up skin texture with anti-inflammation, anti-oxidant, and anti-bacterial effects. Peach Juice provides and keeps moisture to your skin with astringent action, anti-bacterial, anti-inflammatory, and skin metabolism accelerating effects. Peach Seed Extract makes skin supple and radiant with emollient effects and drying prevention effects. Cherry Leaves Extract prevents skin inflammation and melanin formation to improve skin roughening and dullness. Perilla Leaves Extract prevents skin inflammation and has anti-allergy effect. It prevents skin-roughing and promotes clear skin. Hydrolyzed Collagen is a protein functioning as a cushion in dermal cells making skin supple and soft by staying in skin keratin. 1gm of Hyaluronic Acid is able to hold 6 liters of water. It has the ability to keep moisturizing skin and makes skin fresh and clear. No prohibited and harmful additives are used, so you can use continuously with peace of mind. No tested on animals. No Paraben. No Porcine-by products, No mammalian derived products are used. Mineral oil is not used as it bears burden on the skin. Oil-based surfactant (face wash) and Ethylene oxide (lotion and gel cream) are not used. Colorant is not used, leaving natural color of ingredients as they are. All of our products are made in Japan, including contents, bottles, boxes, and others. Our products are manufactured at a factory in Japan with ISO 9001 and latest equipment under GMP standard. We will strive for providing high-quality products that our valued customers can continue to use with peace of mind. Control costs thoroughly and cut intermediate margin, actualizing reasonable price, while maintaining high-quality. Only 3 steps to care: wash, lotion, and gel cream. Very simple skin-care for busy women. 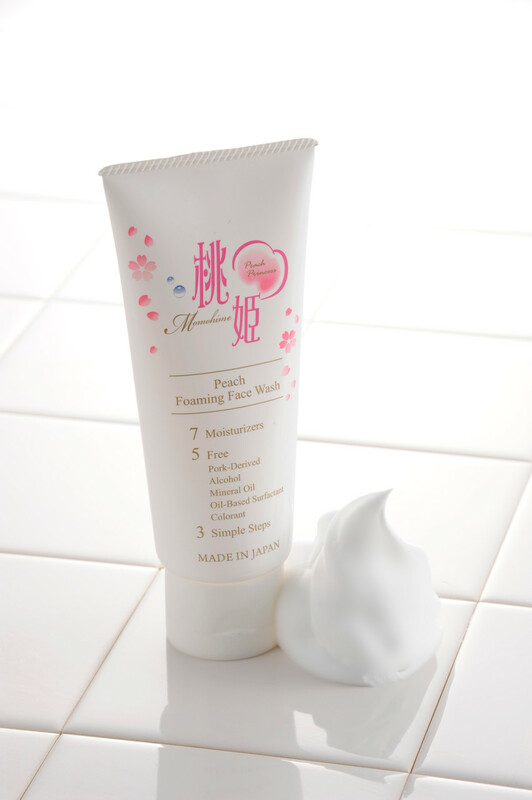 Creamy　face wash with subtle peach scent in foaming with hands. Excellent foaming creates light and fluffy bubble cushion and cleanses soil of skin gently but firmly, making you feel refresh after wash.
Wrap face with hand full of lather and massage your face gently. Moisture lotion with subtle peach scent. Instantly replenish moisture to hydrate skin from within. Provides moist touch after being used in spite of the touch with freshness on use. After washing face, take a generous amount in palm and apply from middle of face outward. 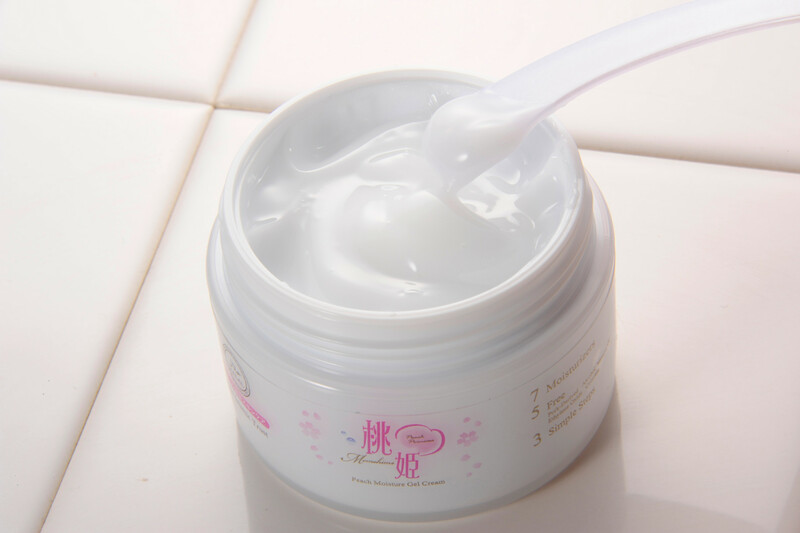 Gel Cream with light feeling in use, quickly fitting to the skin, free from stickiness after use, keeping the moisturizing effect for a long period. With subtle peach scent, it excels in persistence of humectant effects, giving plump skin rich in elasticity and softness. After conditioning face with a toner, take an appropriate amount onto palm and blend in on face gently.